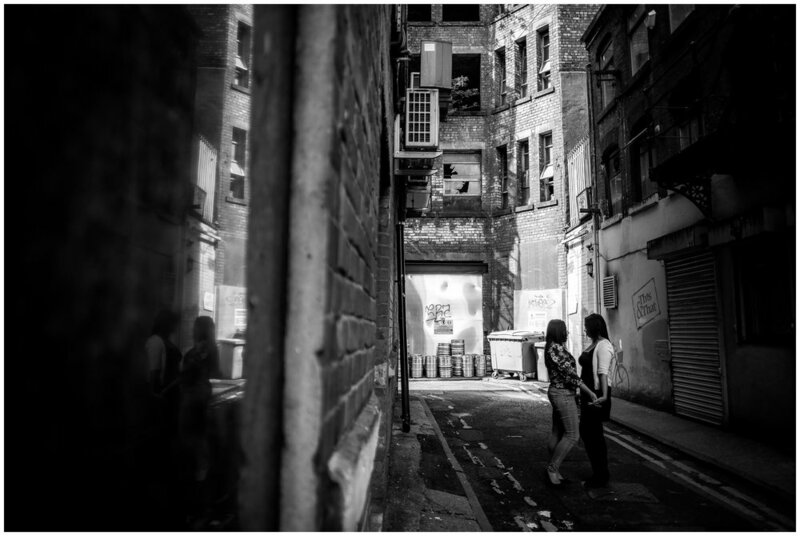 Last month I headed into Manchester to explore the Northern Quarter with Claire and Abi before their big day at the Oak Tree of Peover! We headed in early in the hope that it would be quiet, but as it's Manchester, it was pretty busy even early on! 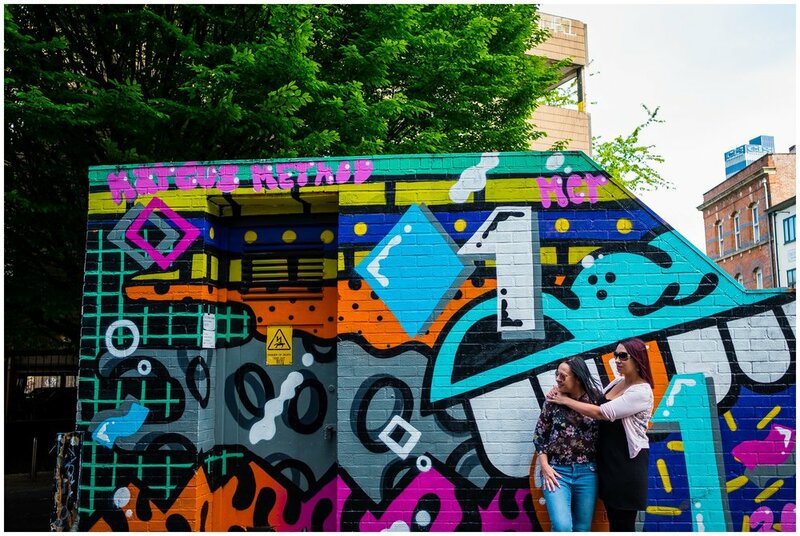 They loved the urban feel and knew it would be very different to their wedding which was going to have a rustic vibe, so we explored the back streets and found some amazing graffiti to use as a background for their pre-wedding shoot. 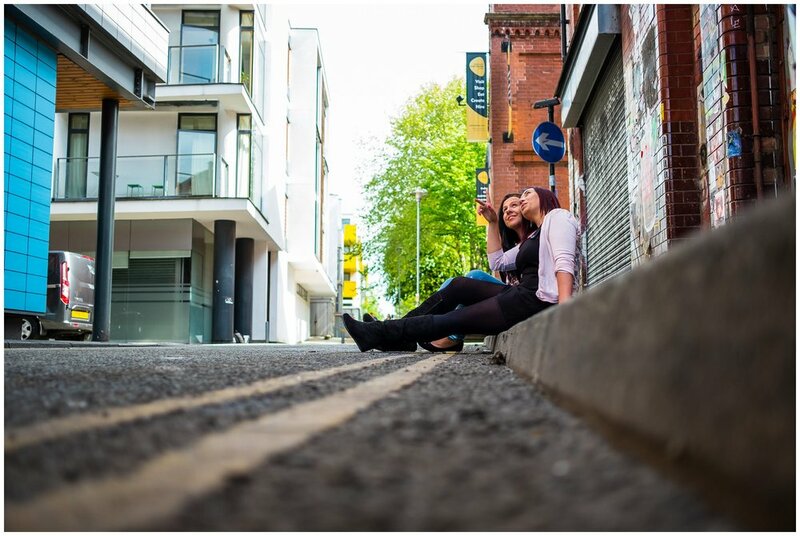 Manchester offers lots of different backdrops and you can even find some greenery in this built up city to give you a nice change throughout the shoot. However, today was all about the graffiti as we headed from place to place and couldn't help but be drawn to it. 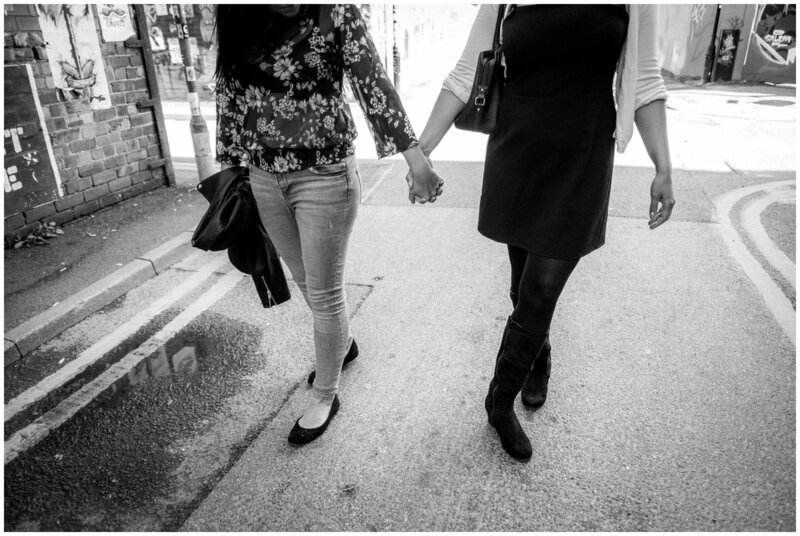 It was a great way for them to get used to being in front of the camera before their wedding and for me to show them that the photos are about them both being together and enjoying that time rather than being camera aware through the whole shoot. The best moments come from being relaxed and being yourselves and once you get into it and ignore that I'm there, the magic happens! Claire & Mikes rustic romance at Beeston Manor.